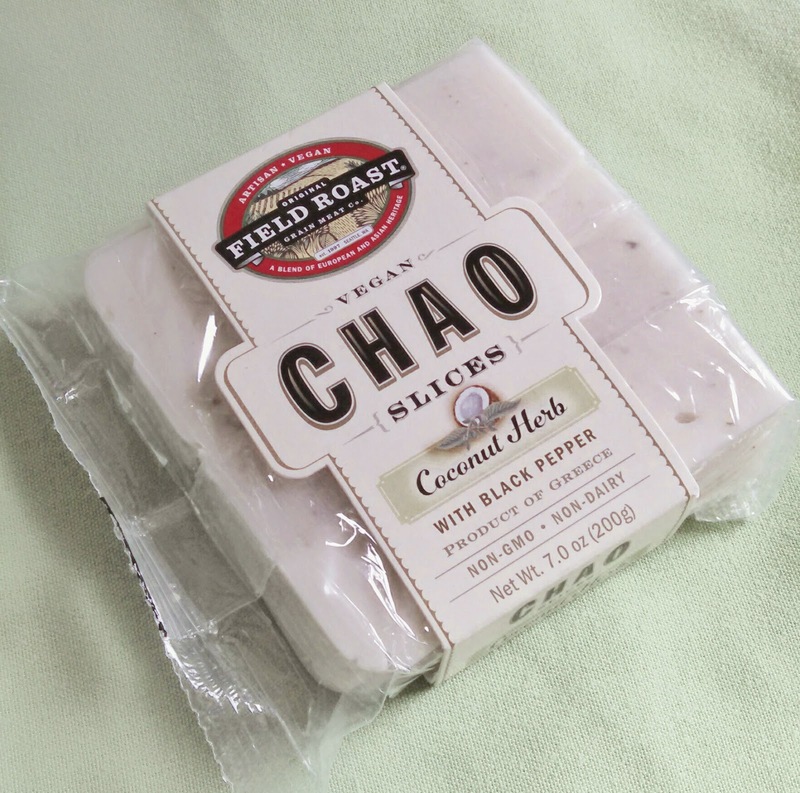 This past fall, I was browsing the aisles of a co-op in Asheville, NC and I spotted a vegan cheese that I’d never seen before, Field Roast Chao cheese slices. I assumed that it was a product that had been out for some time. My mistake! There are new vegan cheeses launching all the time, and as someone who doesn’t eat that kind of stuff often, it’s hard to keep up with what’s new and not. I do love to try new vegan cheeses out though because 1) my partner loves cheese and 2) I can recommend them to family, friends, new vegans and have actual experience behind my recommendation. Well, my curiosity was distracted by hemp tofu, an item I’d never tried but had been dying to, on the bottom shelf which I placed in my basket before walking away from the cold cases, vegan cheese far out of my mind. As I was on my way back to Pittsburgh, I started seeing Chao on all of my social media. It was a growing wave of pictures from all across the country singing the praises of this cheese. I got back to Pittsburgh and couldn’t find it anywhere. I was so mad that I had been standing right in front of it and didn’t get any! Recently, I told a friend about Chao cheese, and a few days later he texted me, “You have to try that Field Roast cheese. It’s soooo good!”. He travels a lot so I made sure that he was in Pittsburgh before excitedly telling my partner that we were finally gonna get to try this awesome cheese. The next day, we took Tucker to the park and stopped at Whole Foods on our way home. I was going to buy ingredients for a specific recipe, but I didn’t know what the cheese was like. I figured I could create something at home with what I already had. First thing was first. When we got home, we cut open the package and broke off a corner for each of us. 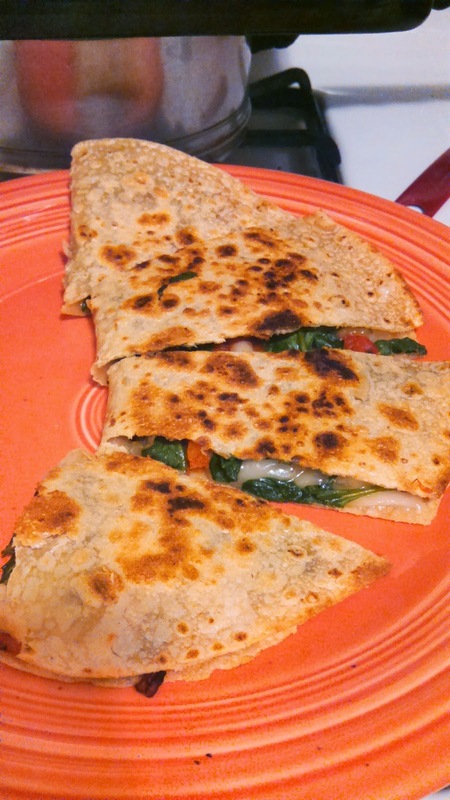 I really loved the oregano and black pepper in it. He loved the texture and said how much it tastes like cheese. It’s been about 12 years since I’ve had dairy cheese, so I have to take his word for it! Me: I really liked it. It was very creamy; it didn’t spread out too much, become too liquidy, or ball up when it was cooling. It had nice depth of flavor, and I’d most definitely buy it again. 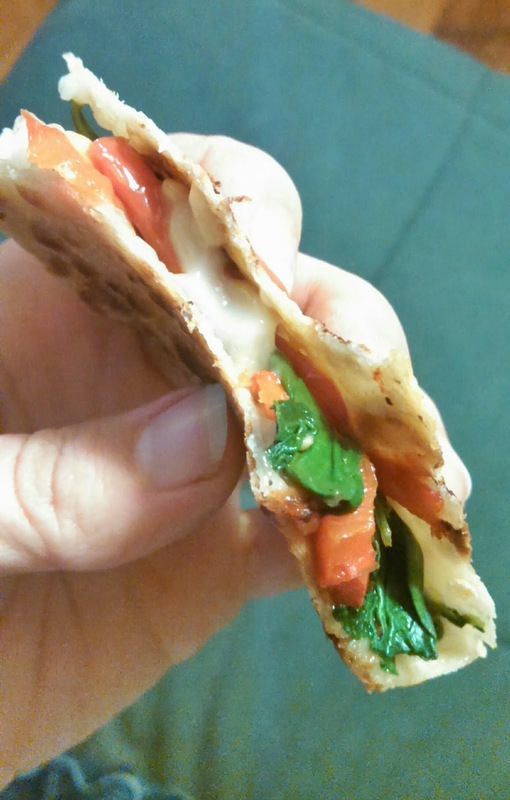 It tasted like all the good things I remember about cheese and none of the bad ones. I hope that our Whole Foods gets the other two flavors in at some point because I’d love to try those as well. Him: He loved it. The first thing he said after taking a bite was, “This is pizza worthy!” which is high praise in his book. And even after we ate a full meal of quesadillas and roasted potatoes, all he was talking about was making a pizza with that cheese. He even started to get freaked out because it looked and tasted so much like dairy cheese to him. The only downside I see – and it’s such a small one – is that the package says, “Do not freeze”. I’m not sure what the result would be texturally, but I’d imagine it messes it up enough that it’s not worth it. Sometimes it’s nice to throw a half used bag of Daiya into the freezer for later use, and I know some people (especially those who don’t live close to stores that carry vegan specialty items) like to stock up their freezers with items like this. I’ve established before that my partner has very strong cravings for foods from his pre-vegan days. The fact that he was speaking so highly of this cheese should mean a lot to any of you who really love and miss dairy cheese. There are a lot of great vegan cheeses out there, but for the price point, I’d say this is most comparable to dairy cheese out of all those I’ve tried. Have you tried Chao? What did you make with it? What was your impression? True, it is very good by itself!